As a fulltime UX & service designer and as a part-time fitness instructor I’ve always wanted to combine the two professions somehow. In a course about Human-Centered service design I was able to do just that. 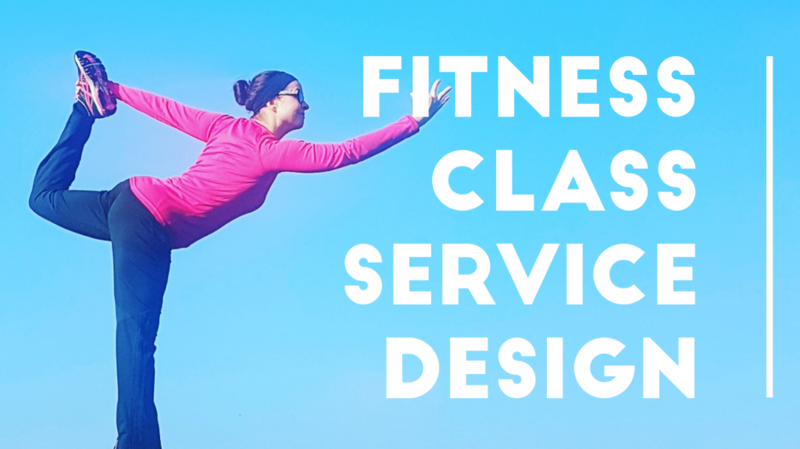 This is a story of my practice project: Fitness class service design. In the course each student picked a service to use for practicing the service design toolset during the course. 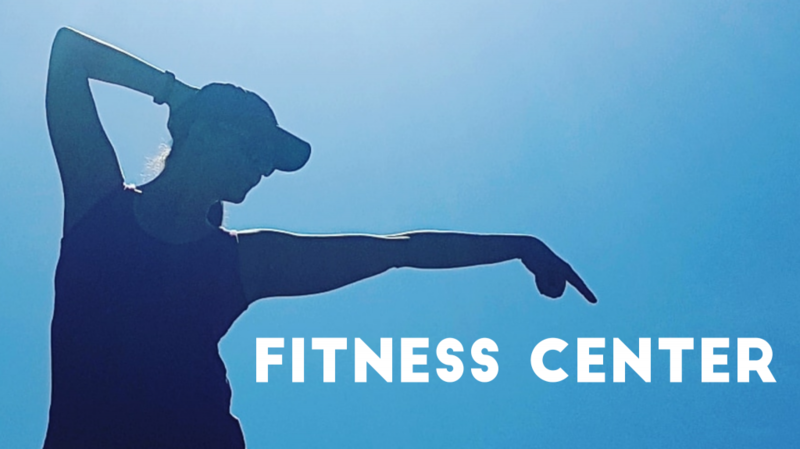 I picked local fitness center services – particularly their fitness classes. I am both customer and service provider in this fitness center. Sometimes I attend the classes, sometimes I instruct them myself. Now, this particular fitness center is already pretty good. It has many active customers who want to maintain or improve their wellbeing. As they should. What interested me was this: how could the fitness center encourage also not-so-active people to exercise? This is a bigger issue of course, not something a single fitness center alone could solve. But surely there is something to improve, something that would lower the threshold for everyone to take care of their health. Perhaps psychology of motivation could also give some ideas? So the target customer in this project was someone who hasn’t been exercising a lot lately. Someone who would still like to feel better and have more strength and energy. Now the service was picked, and the problem and the target customer were defined. It was time to start the service design activities. Inspire: I received comments from my fellow classmates who shared their experiences of their local fitness centers. That way I got a glimpse of competing services and examples of excellent customer experiences. Generate insights: Finally I looked at the gathered data to see if there were any emerging themes, to find moments of delight and moments of frustration. I had my key observations in post-it notes, and I categorized them roughly in two piles: the good experiences and the bad experiences. With all the gathered information it was time to build customer journey map. A customer journey map is an illustration of the different moments of the interaction the user has with the business over time. I now had a starting point to think about how to design any one moment to make it better. Usually there isn’t enough time or budget to improve every moment in the service. The same was true in this project. So once I had the journey map ready, I had to think about which of these moments really matter. Operational: how well does each service moment deliver on the functional needs of the customers? Unique: which moments offer the opportunity to differentiate the service from others in your industry? High value: which moments offer high value both to the customers and the service providers? “Help me get motivated”: The moment when a person should feel intrinsically motivated to exercise in the first place. Without this motivation the customer won’t even come to the class. “Help me get through the class”: the class itself should make the customer feel competent, and to get good workout that makes you feel good. This positive experience encourages to come again. Having picked the moments I wanted to improve it was time to generate ideas for improvement. Normally the brainstorming is done with others. It includes representatives of customers, employees and people behind the scenes. For the purposes of this course the brainstorming was done solo. Luckily the course included some tips for different brainstorming methods. 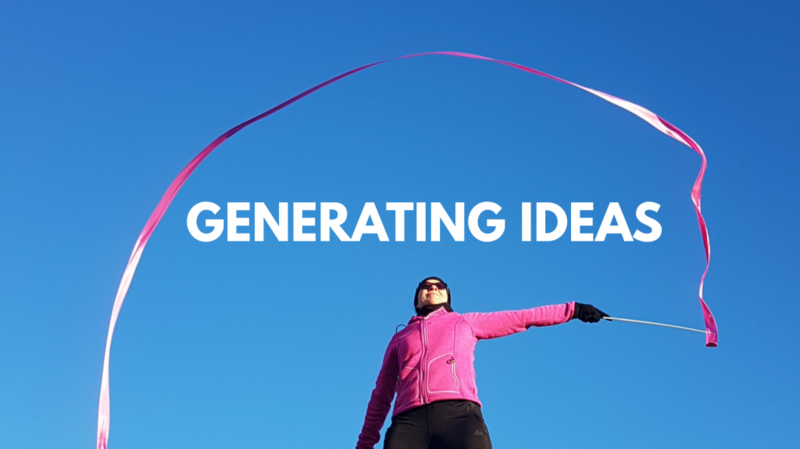 In my case I tried to generate ideas how to solve the “help me get motivated” -service moment in my fitness class journey. I wanted to answer this question: How might we ignite the feelings of autonomy, competence and relatedness in those potential customers who are not yet so motivated to exercise? According to self-determination theory those are the key elements of intrinsic motivation. Intrinsic motivation is important because people are more likely to do something if it is personally rewarding. External rewards are less motivating. How might we ignite the feelings of autonomy, competence and relatedness? One of the ideas was to use the fitness center’s existing blog posts. Many of them seemed to already cover topics that relate to autonomy, competence and relatedness. The problem was, that the target customers would never see them. They wouldn’t just spontaneously navigate to the fitness center’s website to read these stories. So the idea was ready and now it was time to make it tangible and put it to the test. In service design prototypes can be e.g. storyboards, sketches, role-plays, pop-up-kiosks, or physical spaces. In this course the prototype was a role-play. The idea was to spend a little time to design only the details that matter, and learn a lot by testing them. 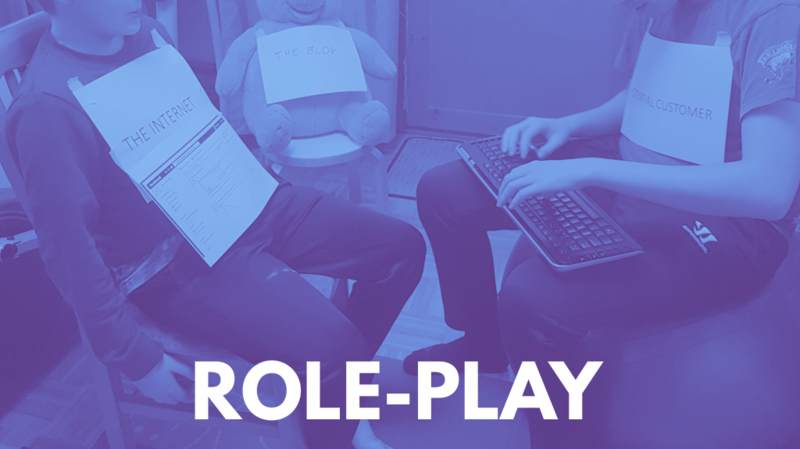 To prepare the prototype I first made a game-plan for the role-play that defined the goal and the key roles. The roles could also be non-human. My goal was to help the non-motivated to get motivated to exercise by igniting the feelings of autonomy, competence and relatedness (the key elements of intrinsic motivation). 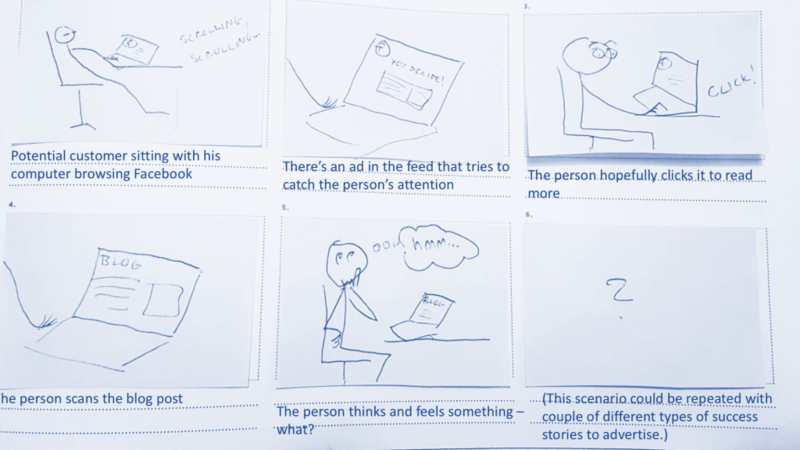 The prototype was to do this by showing the potential customer example success stories that highlight how others have gained these feelings when exercising. I was hoping to see what kind of feelings this kind of approach brings up in potential customer. Next I did a storyboard to sketch it out. Finally it was time for the role-play itself, which I had to do with only available resources at my disposal at the time – my kids. Some thought they might be curious to at least read more about the topic, thus potentially moving closer to getting motivated to exercise. But then some thought that there are some many ads in Facebook already, that they might just ignore these, too. So whether this particular idea would work in real life remained unclear. 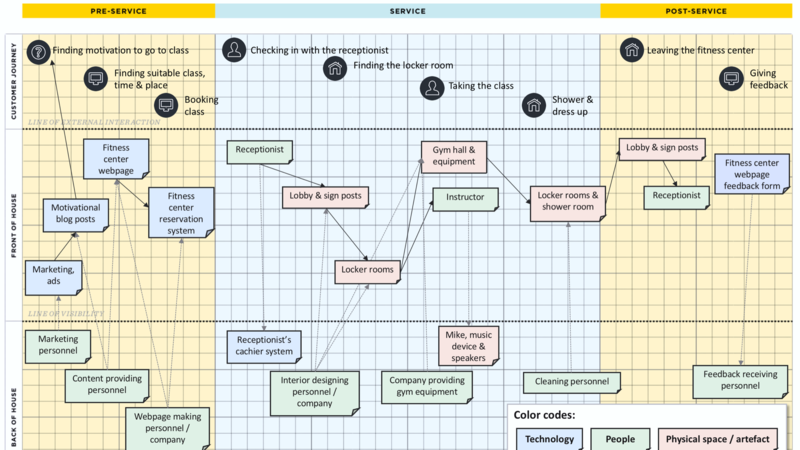 One can use the blueprint to share the service design with those who are needed to construct the service. The idea of enforcing peoples’ intrinsic motivation to encourage them to exercise is not new nor mine, as you can google yourself. 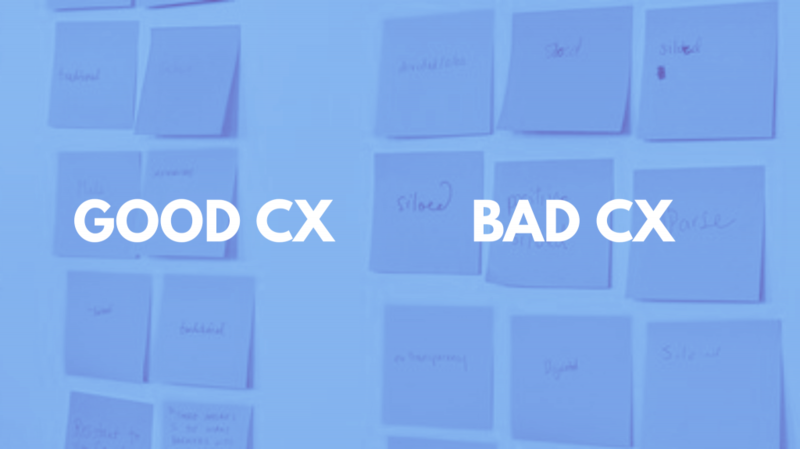 In this service design project, I experimented with one way of doing that. The results of this particular project were not conclusive. Yet, I do encourage any fitness center service providers out there to think about ways they could motivate more people to take care of themselves. How could you reach out to those people who are not yet your customers? How could you ignite the idea in them that exercising can make them feel autonomous, competent and connected? One Response to "Fitness class service design"
Thanks Satu. Great to know what the course covered and your experience of it. I really appreciate you writing this post.